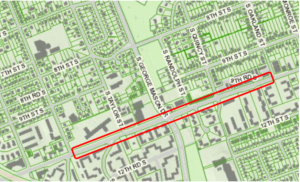 This segment of the Columbia Pike Multimodal Project is in the final phase of design. County staff are working with adjacent property owners to finalize and acquire easements. Once all easements have been secured and bid documents completed, procurement will begin for a contractor. Washington Gas continues moving forward with the relocation of their in-street gas main and, as of March 2019, is working near South Quincy Street. Washington Gas is required to relocate the gas main prior to the County beginning construction on the improvements project. 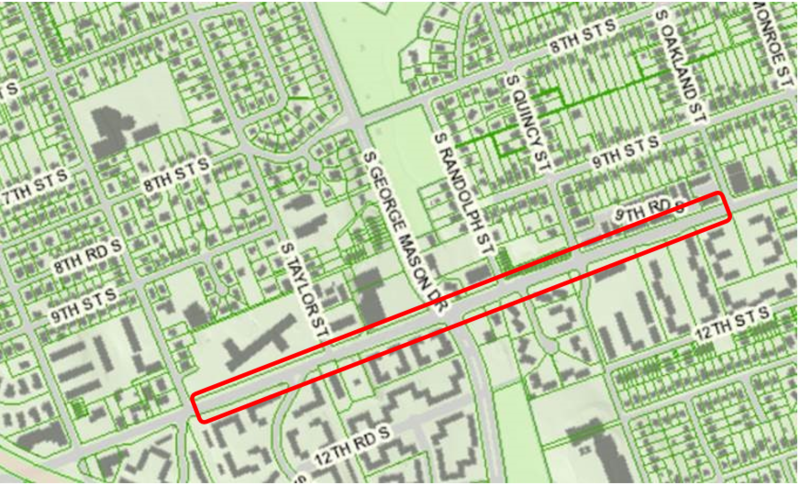 Gas main relocation work within the Columbia Pike and George Mason Drive intersection will occur during nighttime hours to minimize traffic disruption. Permits are being secured for this work. There will be police presence to assist with traffic while this night work is taking place. Daytime work hours will be Monday through Friday, 9 am to 4 pm. Weekend and night work are possible. If weekend work occurs, it will be done on Saturdays between 10 am and 6 pm; night work will likely be from Sunday through Thursday, with hours pending. There will be traffic disruptions and lane closures while Washington Gas’s contractor, Northern Pipeline (NPL), is in the street. Around the work zone on Columbia Pike, at least one lane in each direction will remain open at all times. This work is part of the Columbia Pike Multimodal project that will make Columbia Pike a safer, more accessible route for all users. Arlington is transforming this main thoroughfare into a complete street that balances all modes of travel and supports high-quality, high-frequency transit service. In addition to visible improvements to the road, extensive work will occur below the roadway – to replace aging and leak-prone water and sewer pipes and to bury existing overhead utilities underground. Staff will continue their outreach to nearby civic associations in the near future.